This anti-inflammatory and mood boosting golden milk is a delicious drink to enjoy any time of the day! If you’re into health and wellness, you’ve probably heard about golden milk. If you haven’t heard about it, let me fill you in. Golden milk is a drink made with milk, turmeric and other spices, such as ginger and cinnamon. This drink is really hyped at the moment, as it has turmeric in it. 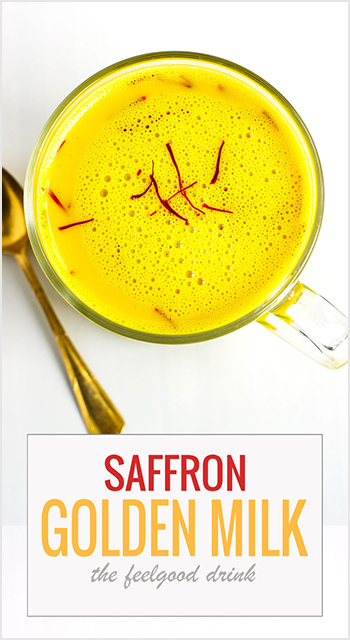 Straight away after learning the 16 amazing health benefits of saffron we make a golden milk with this secret ingredient to experience an incredible golden milk. Turmeric plus Saffron is Double the dose of goodness! Now, the taste is richer, the colour is more vibrantly yellow, and we do believe it makes you feel better. Maybe it’s the taste, the beautiful colour, or all the active compounds in this drink that makes you feel better. Or all things combined. Either way, it’s a delicious drink! We know that saffron is a very expensive spice, but luckily, a little goes a long way in this drink! 1. Add a third of your milk into a sauce pan. Heat up until it gets hot, but not to the boil. 2. Add all the spices, stir until incorporated. 3. Pour the rest of the milk into the pan, and cook on a medium heat for 3-5 minutes. 4. If you wish to have your drink sweetened, add a teaspoon or two into your drink. 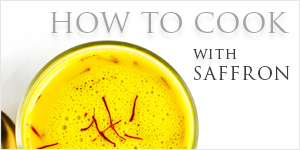 Without any doubt, this is the simplest way to use saffron in cooking activities. Just crumble and add the threads of this incredible spice directly to any dish while you are still cooking. But the best way is to soak a few threads in a glass by adding 3 to 5 teaspoons of warm or boiling water ten minutes before adding to your recipe. Don’t remove the saffron threads from the liquid as they will continue to release saffron’s signature aroma, color and flavor and you can use it again within a few weeks if you keep it in a cool place covered with some cap. 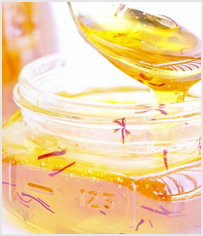 Ingrediants: 0.5 tsp Zaran Saffron / 1 tsp Vanilla Extract / 0.5 cup Raw Clover Honey. Lace the saffron threads in a small bowl. Add the vanilla extract and stir. Allow to steep for at least 10 minutes. Gently warm the honey over low heat or for a few sec in the microwave–just enough to slightly warm and liquify it. Remove the honey from the heat and stir in the saffron/vanilla mixture until evenly distributed. 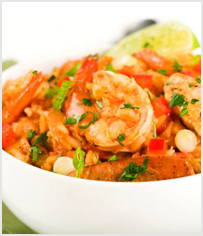 Allow to stand at room temp for an hour or two before serving so the flavors can mingle. Being a natural preservative, it allows this mixture to be stored indefinitely. What foods are considered a super food? Super foods are nutrient-rich foods that are considered to be beneficial for ones health and well-being. Saffron is used all around the world not only for its unique taste when cooking, but as a medicine since it contains high vitamins and minerals. 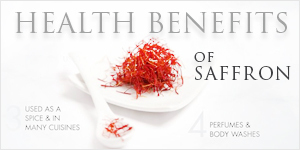 Vitamin A, Vitamin C, folic acid, riboflavin, niacin, and manganese, copper and iron are all found in saffron and all aid in maintaining a strong immune system and cardiovascular system. 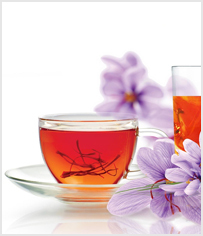 A saffron tea is also known as "steeping" saffron. Think of it exactly as you would when making any tea. 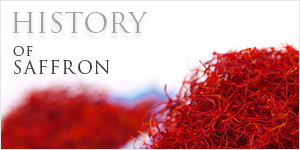 the longer your saffron steeps, the stronger its aroma, color and flavor will be. 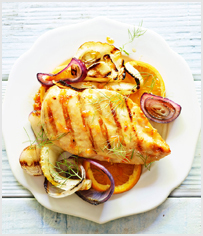 Saffron’s full flavor can be released effectively in hot liquid such as broth, milk, water or at room temperature with citrus juice, rosewater, vodka, white wine or white vinegar. Add the saffron threads either whole or break them up by rubbing them together with your fingers and add to the liquid for at least 20 minutes before you drink. 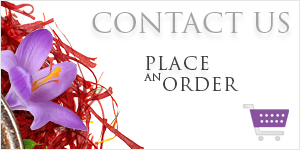 You can also make your own saffron tea by using our highest quality Category I saffron that just a little goes a long way. © 2016 Vanda Rossen. All Rights Reserved.